Velkommen! Looking for a Danish voice to dazzle your project? Voice Crafters works with Denmark's top voice over artists and we can deliver it for you. Fast! Since 2008, we have hand-selected professional narrators who spent years perfecting their craft. We look for talents with the experience and the voice that can take your brand to the next level. Whether you need a voice recording for a commercial, an e-learning module, IVR prompts or an explainer video - whatever the project, we have the talent for you. If you are localizing from another language, call on us to help you with any supplemental services such as translations or subtitling. We can also sync the voice over to picture, add sound effects and render to video. If you need some video editing, you can count on us as well! Have a look at the our talents below and listen to their voice samples. You can download any sample you like and ask us for any help in finding the perfect match for your next project! Throughout Central Europe, the Danish language is spoken by more than six million people. While Danish is the primary language of Denmark, it is also spoken in the Faroe Islands, at the European Union, and at the Nordic Council. Germany and Greenland rely on Danish as a secondary language for their native peoples. 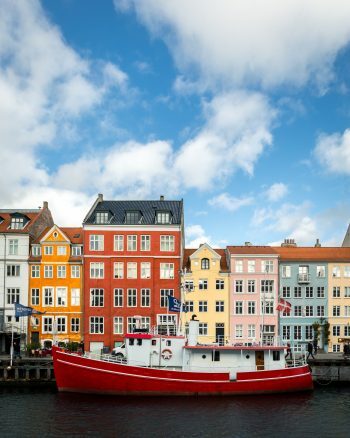 Danish can be a complicated language, with four different dialects to its name. These include that of Insular Danish, Bornholmsk from the Eastern lands, Jutlandic, and South Jutlandic. One of the characteristics making the Danish language hard to master is the number of vowels within their alphabet. There are 27 vowels to choose from, and the correct one must be used to speak with the intended inflection and tense. Danish is considered linguistically to be a North Germanic Language, though is often also thought of as a Scandinavian language. The dialect of Danish that is spoken throughout the Eastern portion of the country is very similar to Swedish. The professional voice talents at Voice Crafters are native Danish speakers. They are experts at managing the intricacies of the Danish language. Contact us today for a free quote and proposal that meets any of your Danish voice over needs. The voice over for this Dansk 777 commercial was recorded by Grete T.
Grete has over 25 years of professional VO experience. Visit her profile page here.